Why am I waiting? I love this author. Her Between Breathes series is one of my favorites. Excited for more! Why am I waiting? OHMYGOD. I don't know how I haven't seen this book until now, but I literally just found it on Goodreads and I am DYING for it. Read that synopsis. Read that synopsis and then tell me that it doesn't look PERFECT for me. Try. Yeah, you can't. YOU CAN'T BECAUSE IT IS SO PERFECT FOR ME. (Or you can, but then you're a liar. Or you're new--hi!) For real, I am fangirling so hard. "First rule of dealing with hot vampire bodyguards? Don't fall in love." I think I'm about to cry because this book exists and I honestly and truly can't wait to get my hands on it so I can read it and love all over it. AHHHHHH. Okay, I'm gonna go cry in a corner now until this book stumbles its way into my hands. Velvet! i'm waiting for that one also. And what a lovely cover! The last time I checked, that wasn't the cover. But it's pretty! Haven't read anything by Christina Lee before but it looks good. Velvet seems interesting, hopefully it is as good as Jess thinks it is. Will be waiting on the review for that one. I am sooo excited for Two of Hearts! 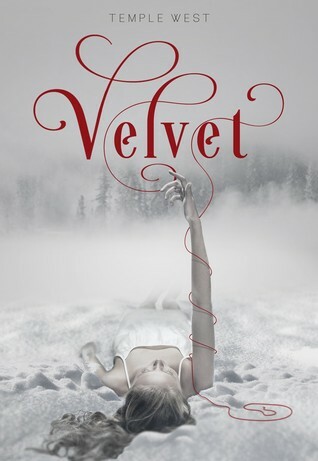 And OMG that cover for Velvet is amazing-- simply amazing!